Mid-30s, married with an almost 3 year old son (who also loves books). Too many hobbies over the years, collecting books (not just Tolkien) has always been one, along with collecting pinball machines and arcade games - talk about taking up space! Sold almost all of those when we bought our first house - which had one bedroom, the garage, and the living room all dedicated to books. 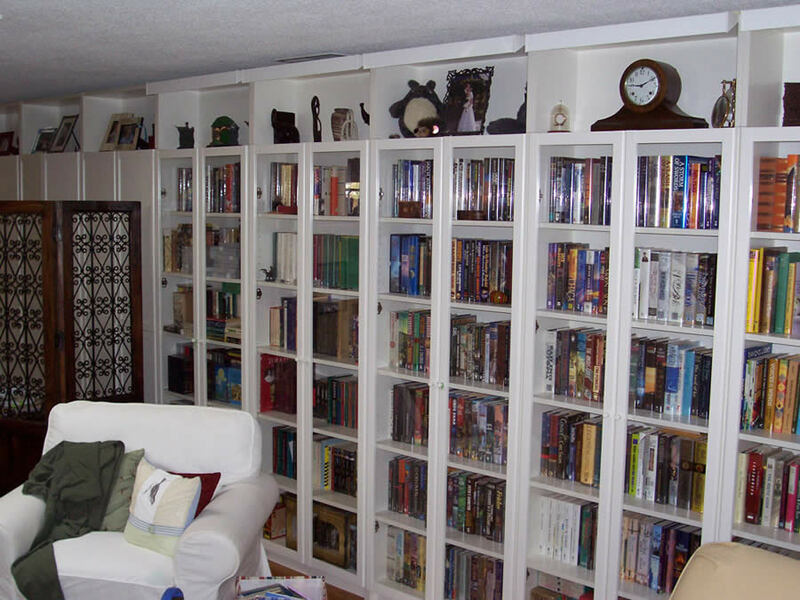 We put in glass doored shelves floor to ceiling in the living room for my collection (my wife took one shelf in one case, and got the rest of the house to do what she wanted). I collect books of all sorts concerning Tolkien, with a large part of my collection going to academic works of his. I also have a collection of posters I am struggling to find a way to display (remember, the walls in my rooms are covered in shelves) - I really like the Bodleian poster with Tolkien's "Bilbo Comes to the Hut of the Raft Elves". I am building a library of fanzines from the early days of Tolkien fandom. I also have a smattering of toys and other ephemera. Surprisingly, not all that big. I tend to enjoy the thrill of the hunt more than the keeping, so I pass on a lot of my finds to other collectors through my bookstore: rowns.com. Perhaps 500 books or so, 40 posters, and a lot of boxes of games and toys. 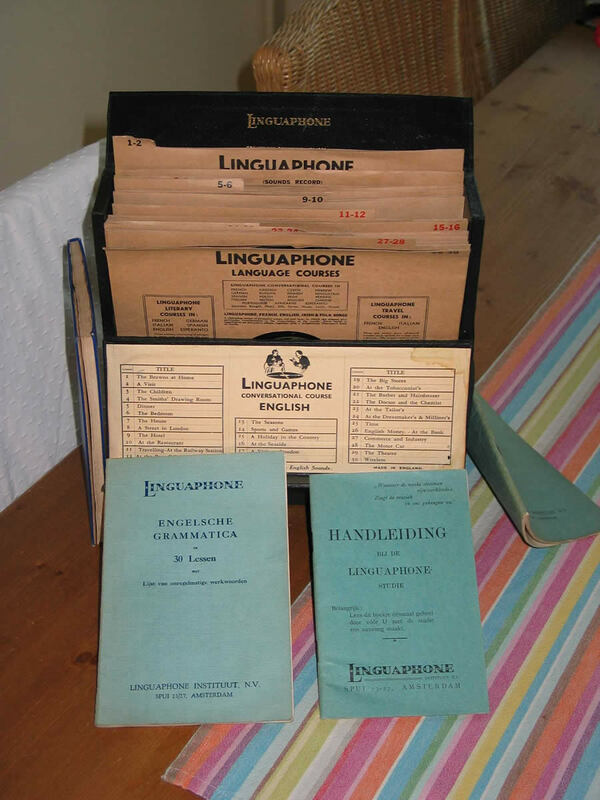 I had a wonderful fellow collector pass on to me a very nice and complete set of the Linguaphone recordings in the original box with all the booklets. Tolkien made a bit of spending money recording a couple of conversations to teach English as a second language. I am putting together a new website called The Tolkien Collector's Guide at tolkienguide.com - it is taken from my own collection as well as anyone else I can get to contribute, I hope that it will have at least a smattering of information on just about everything Tolkien related. There is a large fanzine section already, and an active discussion board for other Tolkien collectors, with more being added pretty much every day now. To me, collecting is a way to meet other people who love Tolkien, language, art, fantasy, games, toys, etc. I love having a full inbox in the morning, knowing that I might learn something new (or help someone else out).